Did you know that hog raising was very popular in this area in the old days, thanks to a healthy supply of acorns from the trees? Grapevines, peaches and pears were also plentiful. Keller was originally going to be named Athol, but residents then decided to name their town Keller, to honor a foreman on the Texas and Pacific Railway. The streets of downtown Keller still have the names they were given in 1881, including Lamar, Main, Price, Taylor, Bates and Olive. As for Southlake, it wasn’t incorporated until 1956, believe it or not, but pioneers began settling there as early as the 1840s. Today, of course, Southlake is known for fine restaurants and shopping, wealth (the average home price is reportedly around $750,000) and an outstanding high-school football team. The residents of these cities know that hard work pays off, and we agree. 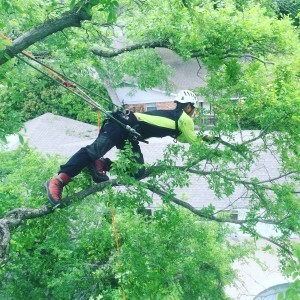 Our team is proud to provide top-of-the-line tree trimming in Keller-Southlake, where we’ve been offering our pruning services since 2001. Contact us today to get started! Integrity Tree Care has two certified arborists on staff, which means they are trained and educated in every aspect of aboriculture. We can answer any question you may have and perform all types of tree care duties, from trimming to stump removal to organic fertilization to vertical mulching. We care about the health of your trees and will pass our knowledge on to you! Excellent customer service is always the number-one goal with our team. 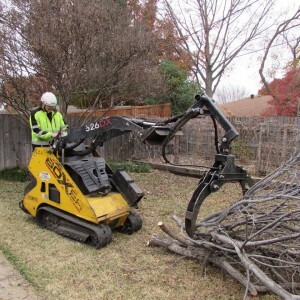 If you’re looking for the best in Keller-Southlake tree trimming or pruning services, please give us a call to discuss what you need. We stand by every job we do, and are proud of the reputation we’ve earned over the years.